I grew up on a pig farm in Middleburgh, NY and I got my first radio 'internship" at WSCM in Cobleskill, NY. After two weeks of making coffee, running errands and board operating I became just that, a bored operator so one day I decided to just turn on the microphone and start talking. The rest is history and since then I've worked in Nashville, Sacramento, and Albany but it's great to be back in Central New York! I'm an avid Dallas Cowboy and New York Yankee fan and in my free time you can usually find me pursuing my other passions: jogging, eating chicken wings, acting and volunteering. 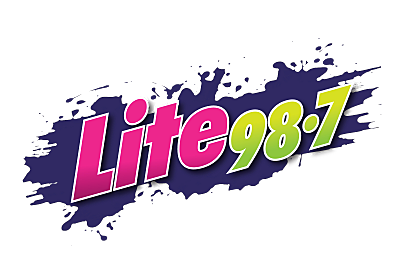 Thanks for tuning in afternoons 2-7 on Lite 98.7! Asim Patel embarked on a 5 hour journey from Jersey City to the Adirondack Park, and his trip paid off because he caught some extraordinary footage of an Aurora Borealis. Autumn is a beautiful time of year in the Empire State. If you're planning on taking a road trip to check out the scenery, this guide will be of assistance. Matt grew up on a farm so animals have special meaning to him. Most goats are lovable and friendly, so when he saw the misfortune of Gilbert, he wanted to share his story. We can't believe we've never tried this one of a kind restaurant on Bank Place in Utica. It was one of the most unique dining experiences we've ever had. If you've ever picnicked at Rome's Bellamy Harbor Park, then you're already familiar with it's lush landscape, scenic promenade, and peaceful wooden walkway. If not, this vivid drone footage will give you a better idea. Normally, the sound of a jack hammer wouldn't be too appealing, but because crews have been using them to re-pave our roads, it's music to our ears. Red Pandas are on the endangered species list, and only 10,000 remain in the wild. However, the Syracuse zoo is fortunate to have a handful of them for you to love, and adore. A sport called slacklining is catching on in Upstate, New York, and if this is as difficult as it looks we may be in for a challenging time. Spencer Smith, the two-year old grandson of Kirk and Linda Hinman, was just diagnosed with a rare, incurable, progressive disease called MPS-III, or Sanfilippo Syndrome. The good news is, you have the power to help this little guy. We appreciate our brave men and women in the armed forces so much, and this weekend we can show our support by participating in Sitrin's Annual Stars and Stripes 5K. The Carbone Auto Group has been sold to Lithia Motors, which is based in Medford, Oregon.